Rubber Room Ramblings: ADORABLE BUTTERFLIES! I get so many great ideas from our monthly Demo Diva get togethers. I love those awesome ladies! 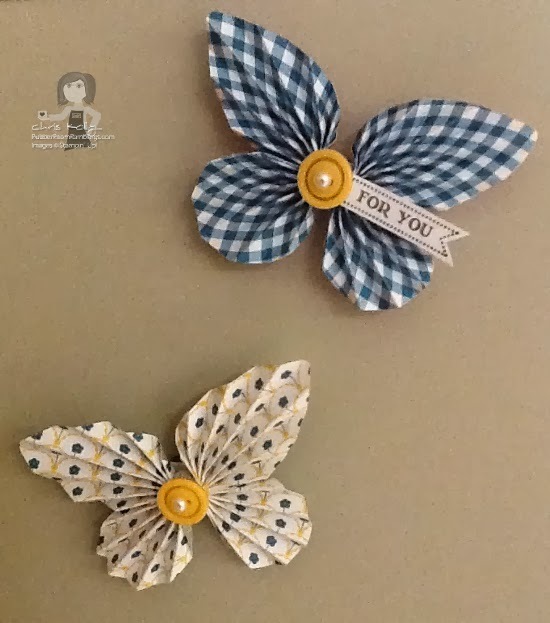 This month Linda showed us how to make these cute little butterfly magnets. 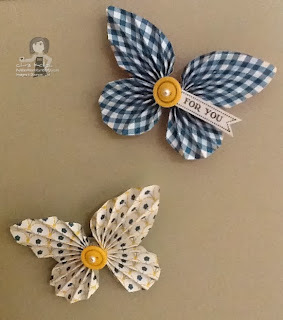 I could not decide which Designer Series Paper to use for my butterfly, so Linda generously allowed me to make two of them. I still can't decide which one I like the best! 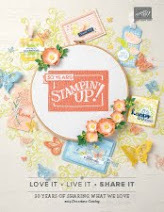 Linda had lots of Designer Series Paper already scored and ready to go, with our pattern already outlined on the DSP. All we had to do was cut and fold. Then we got to pick from buttons, brads, jewels.... all sorts of goodies to accessorize our butterfly body, and she also had lots of words from Itty Bitty Banners stamped and cut for us to pick from. 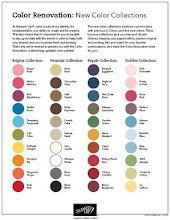 This was such a neat little project, and she made a pattern for all of us. I see more butterflies in my future!